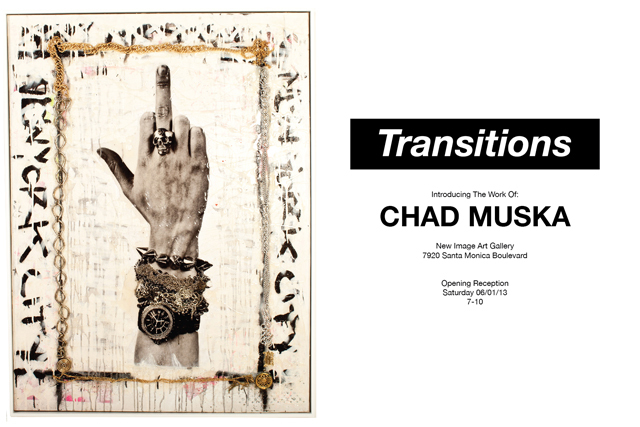 Transitions – the first solo art offering from Chad Muska – opens this Saturday (June 1) at New Image Art in West Hollywood. 7-10 PM. 7920 Santa Monica Boulevard. Sounds pretty sick. Chad’s new style appears at first to be a huge departure from the graffiti and wheat paste art he’s been known for in skateboarding for years. These new minimal pieces are heavy and stark, constructed from steel, concrete, and other industrial materials, and contain elements that are redolent of Mark Rothko, Richard Serra, and Anselm Keifer. They’re serious, yet they retain a playfulness that speaks directly to the mind of a skateboarder—there’s a movement and a work-in-progress element throughout the show that echoes the spirit of skateboarding which has always been a lifestyle devoted to the journey, not the destination.